Clients today need to ensure that all their waste is handled in a professional, environmentally acceptable and legal manner. Whilst high standards are minimum criteria for the handling of hazardous waste, equal standards need to be maintained for Non Hazardous Waste also. 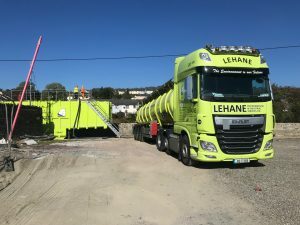 Lehane Environmental’s extensive fleet of articulated suction units (up to 30,000ltr capacity), all Terrain Suction Units, Hookloaders, Curtainsiders, dewatering units etc provide for the efficient collection and transportation of waste to authorised facilities. 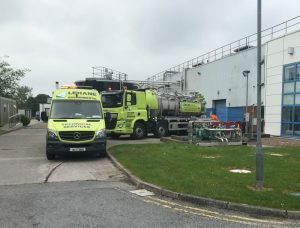 We have a variety of fully permitted/licensed facilities available to us such as Aerobic/Anaerobic Digestion, Material Recovery Facilities (MRF), Biological WWTP, Physio-chemical, landfill etc. 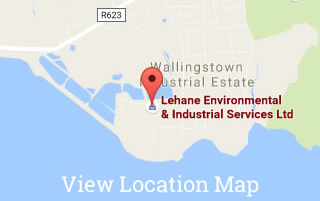 When Lehane Environmental commenced our “One – Total Environmental Solution” Service it was not uncommon for us to find that existing non hazardous waste suppliers to companies had no Waste Collection Permit to handle the wastes being collected or no Waste Permit to store/sort the waste. Lehane Environmental using the standards and procedures set up for our Hazardous Waste Service, takeover the responsibility for ensuring that all contractors have the necessary documentation, permits and licenses to handle the Non Hazardous Waste. Due to our bulk purchasing power and innovative waste handling methods we are able to offer Clients reductions in their current non hazardous waste requirements whilst ensuring the highest standards are met. Our extensive fleet ensures that waste is transported in a safe manner and that full traceability is available to Clients.